Micro-Needling provides smoother, better looking skin via the introduction of ultra-fine needles penetrating thousands of microscopic holes in under an hour. SkinPen MicroNeedling is 100% natural! Unlike lasers or chemical peels, SkinPen treatments do not cause long-term damage to the skin (when properly spaced apart under the direction of a medical provider). Best of all there is virtually no downtime, with treated clients ready to return to their normal routine within just 1 to 3 days. 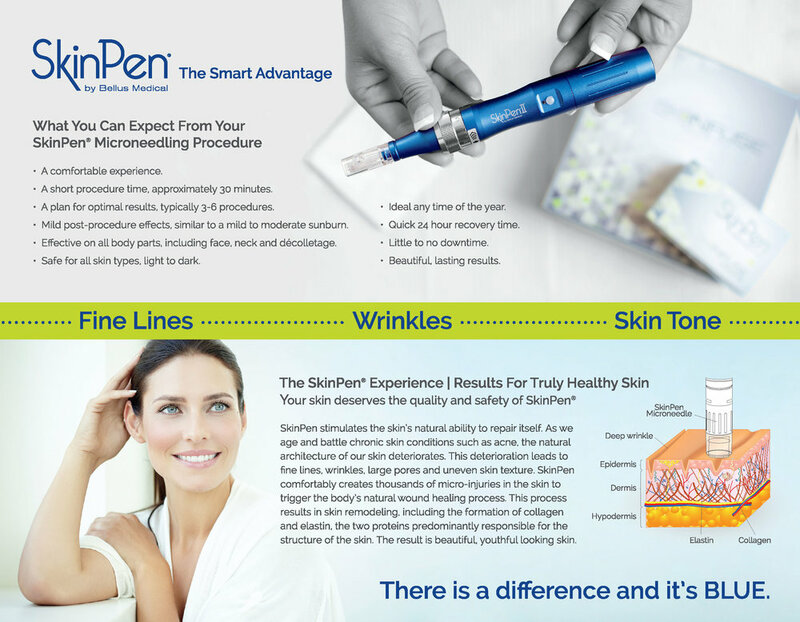 SkinPen stimulates your own body’s natural skin/wound healing process. The complete treatment series is clinically proven to QUADRUPLE collagen and elastin levels in treated skin, for as long as 6 months post-treatment. All by delivering highly controlled and minimally invasive micro-injuries into the skin (typically a fraction of a millimeter in depth). Which in turn powerfully stimulate skin cell renewal for weeks at a time. The result is effective remodeling of scar tissue, while keeping the overall structure of the skin intact. According to studies, skin treated with four MicroNeedling sessions spaced one month apart produced up to a 400% increase in collagen and elastin for a FULL SIX MONTHS after completing the treatment series. For those looking to improve the look of scars, boost collagen and promote healthier skin, MicroNeedling might offer a minimally invasive solution. 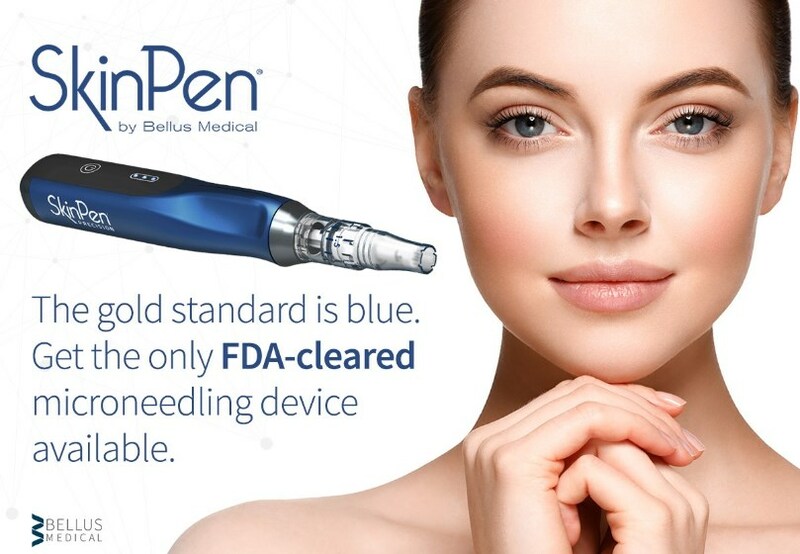 After exhaustive research into advanced safe and natural skin renewal procedures, Mountain Spirit exclusively chose to utilize SkinPen for our MicroNeedling treatments, as SkinPen is the first FDA-Cleared MicroNeedling device available. These treatments here were developed by our very own medical professionals, Family Nurse Practitioner Mary Ellen Lopez, and Dr. Brandon Taylor DOM. 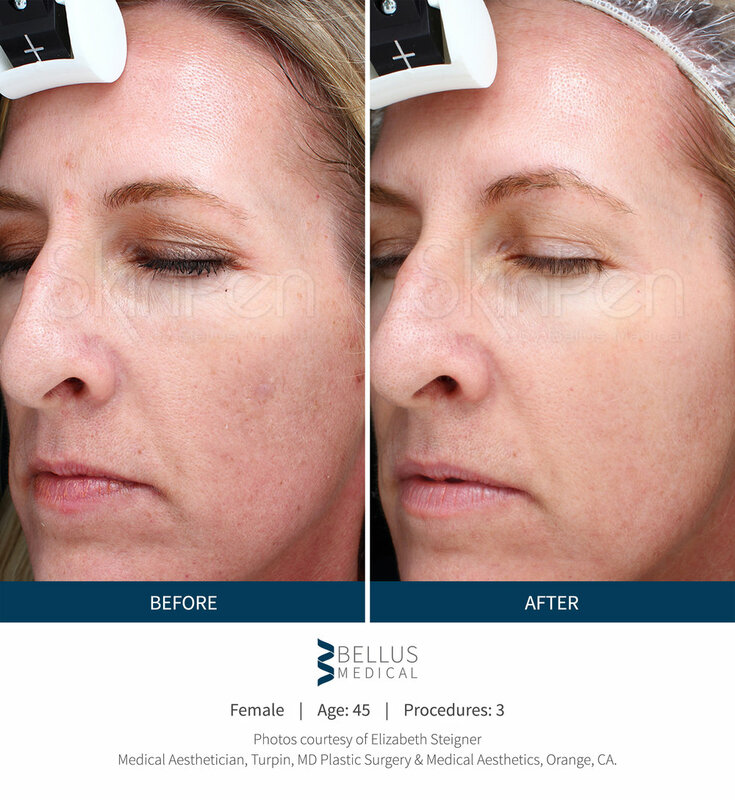 Mary Ellen is known to many as a highly experienced Aesthetic Provider who has over a decade providing Aesthetic treatments such as Injections and MicroNeedling. Dr. Taylor has over a decade of experience providing Acupuncture Facial Rejuvenation and Cosmetic Acupuncture including natural scar reduction treatments. Phase I: Inflammation. Piercing the skin triggers your immune system to disinfect the wounds, remove debris, increase blood flow and begin to create new tissue. Phase II: Proliferation. The wound is rebuilt with new granulation cells, which are part of the extracellular matrix. Additionally, a new network of blood vessels develops. Phase III: Remodeling. The wound is replaced with new dermal tissues and blood vessels. Best of all, SkinPen works. Ninety percent of subjects in the clinical trial would recommend the procedure to family and friends. PRP is plasma with many more platelets than what is typically found in your blood. The concentration of platelets — and, thereby, the concentration of growth factors — can be 5 to 10 times greater (or richer) than usual. The use of PRP is currently expanding rapidly in modern Allopathic and Functional Medicine. PRP injections have been demonstrated to improve the condition of degenerating or injured joints, for example. Mountain Spirit is currently utilizing PRP to promote natural skin healing and regeneration, to help people achieve their aesthetic goals without sacrificing safety or the goal to utilize natural products. 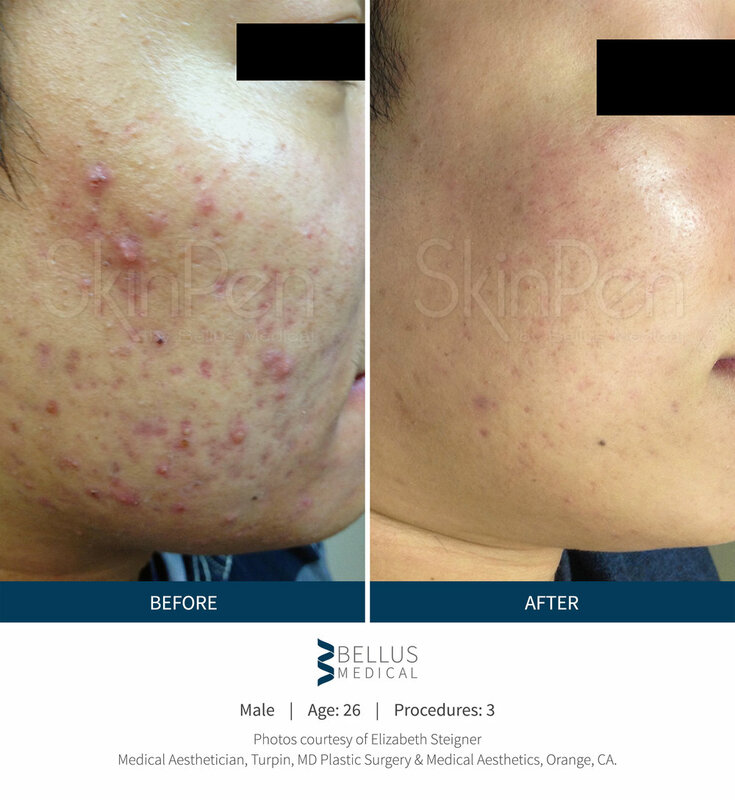 The use of PRP combined with MicroNeedling treatment, such as SkinPen, has been found to increase treatment goals of smoothing skin, reducing the appearance of scars (including acne scars) and hyper-pigmentation. When a patient’s own PRP serum is injected into a his or her skin, the product is completely natural (coming from the patient’s own body). Universal precautions are taken to ensure that only one’s own PRP is injected into one’s own body, to prevent any chance of cross-contamination. Patients have reported a reduction in fine lines and wrinkles from receiving PRP assisted MicroNeedling. This is especially so when that PRP is further injected into targeted skin tissue. To develop a PRP preparation, the patient’s blood is first drawn into specialized high-tech collection tubes. The tubes are then placed into a process called centrifugation, in which the blood is spun at a specific rate for a set period of time. In the process of PRP centrifugation, the platelets are separated from other blood cells to increase their concentration. The increased concentration of platelets is further combined with the remaining blood, resulting in Platelet-Rich Plasma (PRP). During a PRP facial, the PRP is then spread on top of your skin to allow the MicroNeedling procedure to insert the plasma under the dermis to hyper-vitalize regeneration for optimal results. PRP Treatments are 100% safe and natural, because they are made from the patient’s own blood, and used only for that patient, only at the time of harvesting. SkinPen is clinically proven to reduce the appearance of acne scars, and has been reported by recipients to be effective for other skin goals. In fact, 90% of subjects in the clinical trial would recommend the treatment to friends and family. It’s a minimally invasive procedure performed in-office with little downtime. As the first FDA-cleared MicroNeedling device, SkinPen sets the industry standard for safety. Will SkinPen work for me? Unlike most alternatives, SkinPen has been clinically proven to be effective for women and men with skin ranging from light to very dark. Likewise, unlike lasers or chemical peels that can damage skin over the long term, SkinPen treatments (when properly spaced and overseen by a licensed medical professional) can be used for years. Yes, by design. SkinPen’s patent-pending, single-use sterile needle cartridge is built with safety in mind. Once it’s been used a single time for a single person, the needle head physically retracts to prevent it from every being used again. Additionally, SkinPen is surrounded by a proprietary BioSheath that acts as a barrier to prevent cross-contamination between procedures. Safety measures like these are part of the reason SkinPen is the first MicroNeedling device cleared by the FDA. Other MicroNeedling devices are not necessarily built the same. Be careful! Imitations or alternate devices may seem similar or desirable in terms of convenience or treatment cost. However, ask yourself: How much is your health and safety worth to you? IMPORTANT NOTE: Micro-Needling is CONTRAINDICATED in those prone to KELOID SCARRING, and/or people who are CURRENTLY TAKING ACCUTANE pharmaceutical treatment for acne. If one of these applies to you, DON’T SCHEDULE A MICRO-NEEDLING SESSION AT MOUNTAIN SPIRIT (or anywhere). Can be part of a package to ensure maximum result with maximum savings! IS CONTRAINDICATED IN THOSE PRONE TO KELOID SCARRING, AND/OR WHO ARE CURRENTLY TAKING THE PHARMACEUTICAL PRODUCT ACCUTANE. Be mindful and follow all recommendations, in order to enjoy your results! ** RATES GUARANTEED THROUGH JUNE 30, 2019. All prices INCLUDE Tax! Shop around Santa Fe and compare. 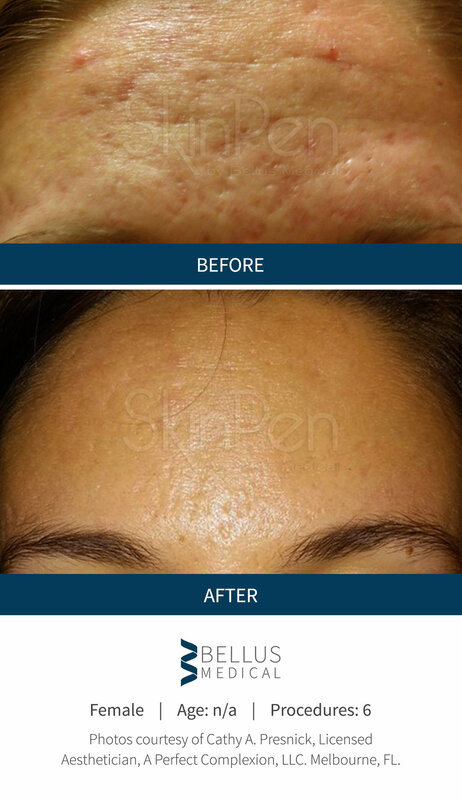 We offer remarkable value for SkinPen MicroNeedling. Purchase this Treatment Now by Clicking Here!